Screen Invasion has an exclusive interview with TEN THOUSAND SAINTS writer/directors Shari Springer Berman and Robert Pulcini. Begin Again – Two times the music well might have been one time too many. Hailee Steinfeld stars in 3 DAYS TO KILL with Kevin Costner. Don’t miss this exclusive featurette including behind-the-scenes footage. HATESHIP LOVESHIP Movie Review – Which Ship? HATESHIP LOVESHIP takes too little time developing its characters and relationships, resulting in a hodgepodge of a romantic drama. Hateship Loveship, starring Kristen Wiig, features a group of people who all share a similar sense of loneliness. 3 DAYS TO KILL is another sub-par effort from Luc Besson’s script mill, made almost watchable by a game Kevin Costner, et al. Enter to Win a 3 DAYS TO KILL Prize Pack! Enter to win a 3 DAYS TO KILL Prize Pack from Screen Invasion, including a $25 Fandango gift card and branded goodies. Carlo Carlei’s ROMEO AND JULIET is superficial—beautiful on the surface but without sufficient emotional depth. Read More	Blu-Ray, blu-ray review, Carlo Carlei, Damian Lewis, Douglas Booth, Ed Westwick, Hailee Steinfeld, julian fellowes, Kodi Smit-McPhee, Lesley Manville, Natascha McElhone, Paul Giamatti, Relativity Media, Rom-Dram, Romeo and Juliet, Shakespeare, Stellan Skarsgård, This Chick's Flicks, Twentieth Century Fox Home Entertainment. 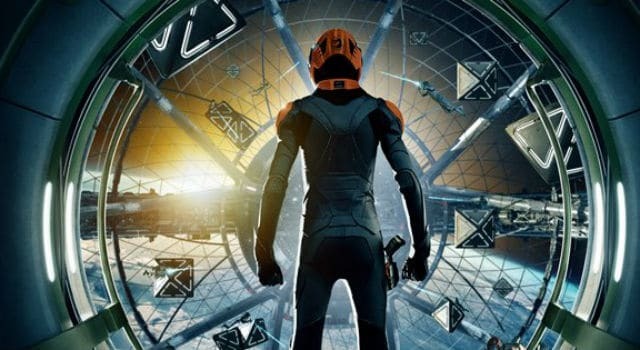 The Ender’s Game trailer looks stunning. Gavin Hood directs the sci-fi epic that stars Asa Butterfield, Hailee Steinfeld, Ben Kingsley, Viola Davis, with Abigail Breslin and Harrison Ford.